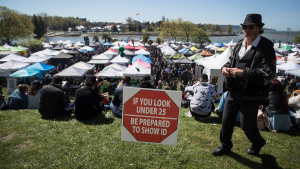 Vancouver Park Board Commissioner John Coupar introduced an emergency motion Monday seeking to cancel a free concert planned during this year's 4/20 rally. Tens of thousands of people are expected to fill Sunset Beach for the unsanctioned event. Coupar said he's worried the Cypress Hill concert will draw even more people and that the crowd will get out of control. "I'm concerned, certainly, with that many people on the site," Coupar said. "I'm also concerned about the stage. We're talking a big stage. We're talking about a lot of amplification equipment. The neighbours have not had any consultation." The rally's organizers announced the hip-hop group's performance on social media last week. Organizers told CTV News the band represents cannabis culture and having a headliner makes their event more legitimate. Coupar's motion comes as 4/20 faces criticism from the organizers of events such as the Vancouver Sun Run. "We should all be on the same level playing field,” Sun Run race director Tim Hopkins told CTV News Vancouver last week. “There shouldn't be deals given to different organizations." In 2017, 4/20 cost taxpayers a whopping $245,000 in policing and pick up. That number was about the same last year, and the city officials said organizers only paid back about $63,000 of that money. Now that recreational pot is legal, the Vancouver Mayor Kennedy Stewart has also said that he'd like to see the event turn into more of a trade show than a rally. The event’s organizers, meanwhile, said that until they have been given an event licence, nothing will change. 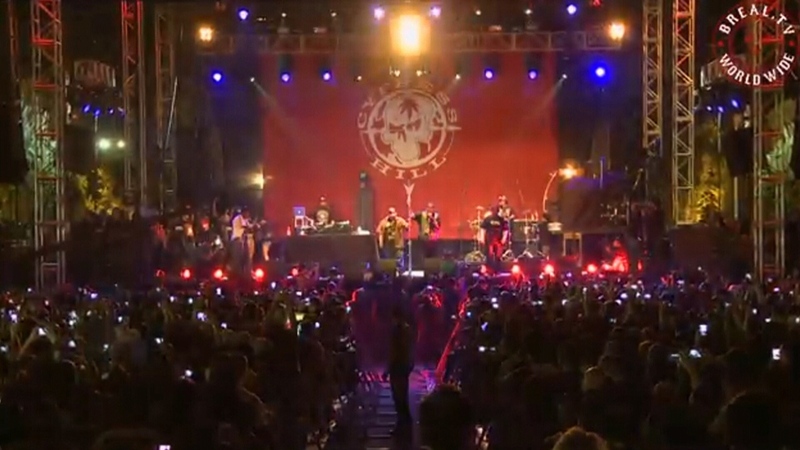 Cypress Hill is seen performing in this undated photo.